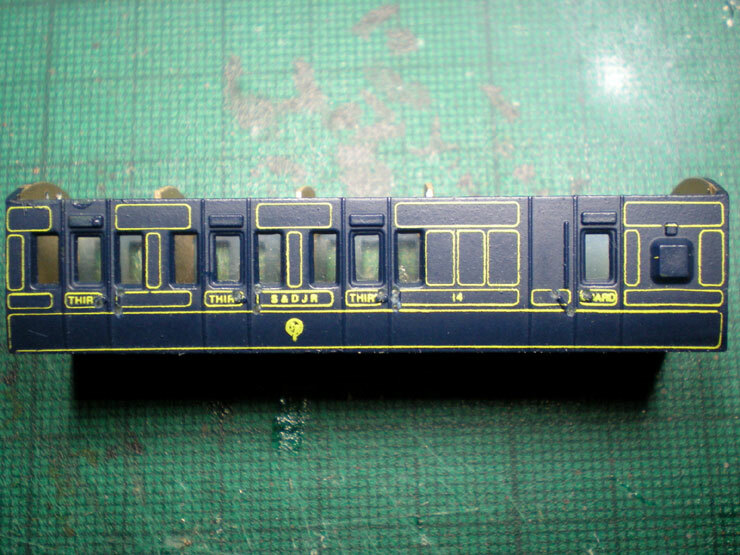 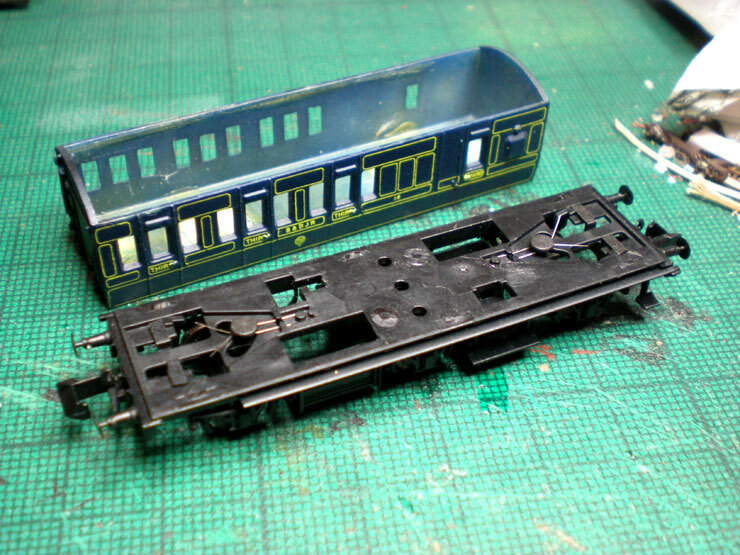 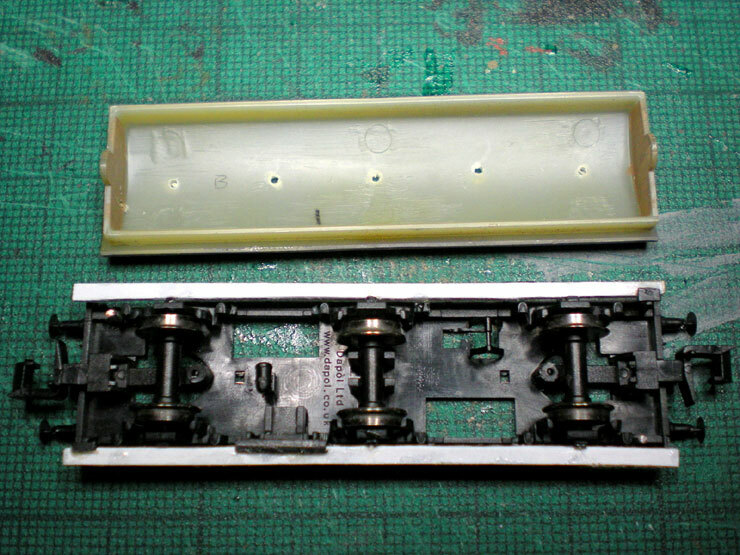 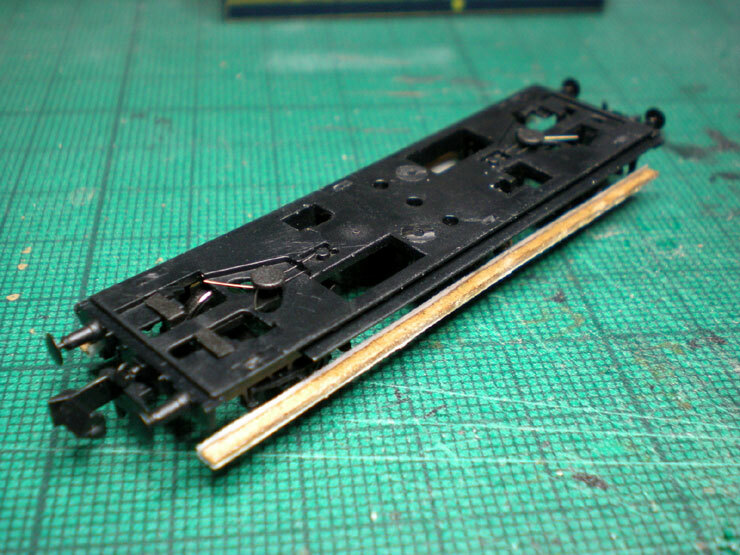 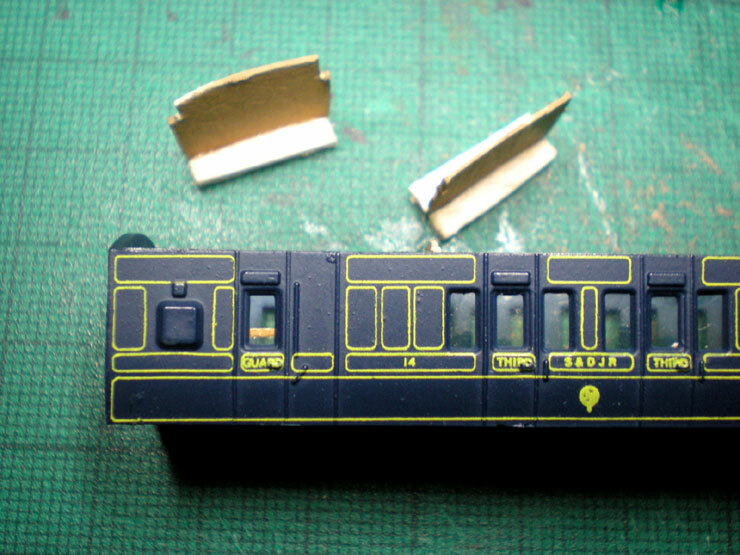 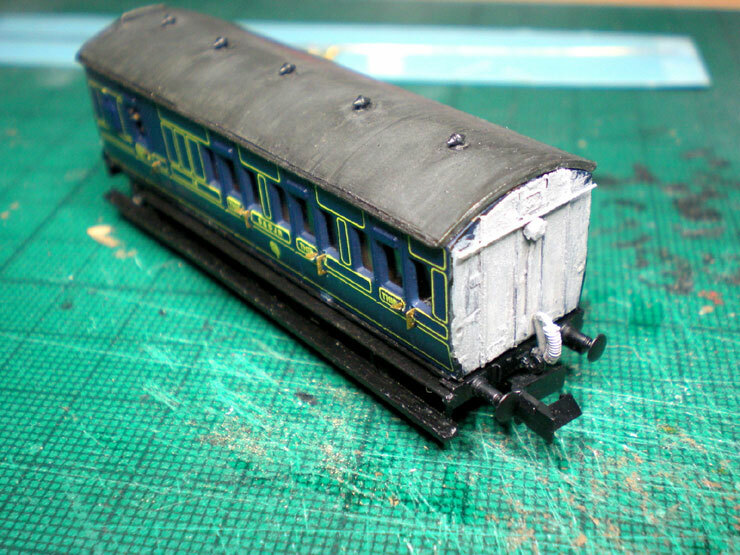 Something I've been wanting to do for quite some time is upgrade work on a Poole-era Graham Farish 4-wheel coach. 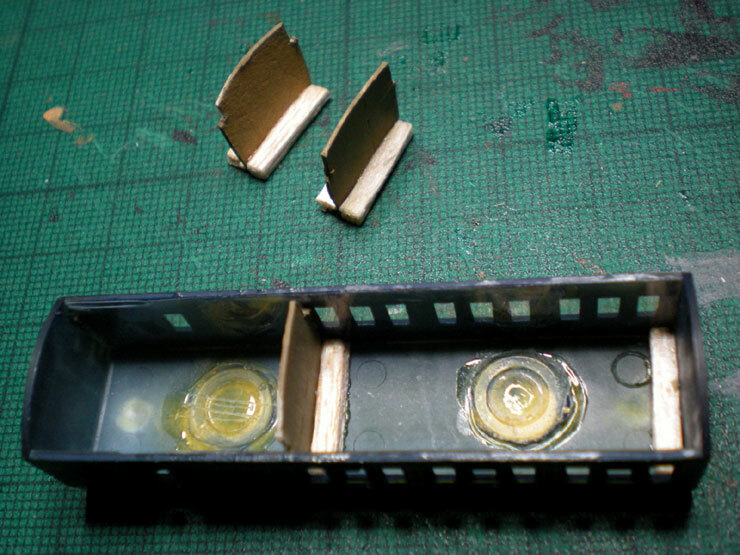 They may not be entirely accurate but I'm hoping they'll look a lot better with some detailing. 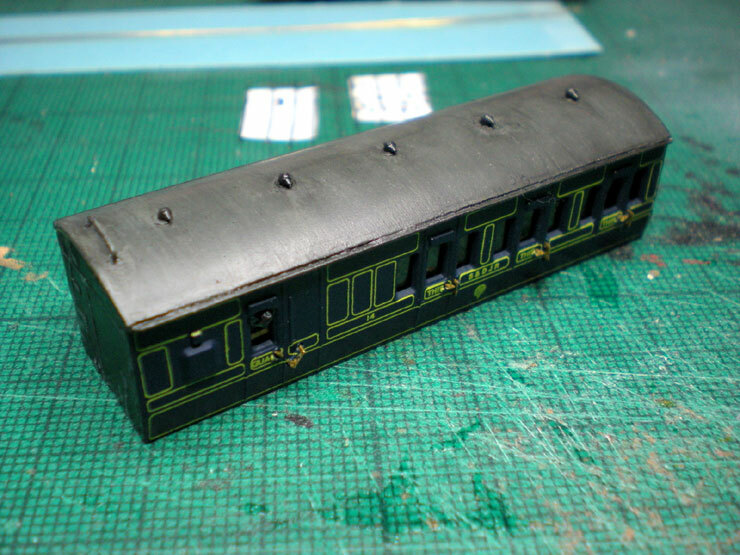 After having pioneered the upgrade work on a 57' suburban coach (see the LSWR Farish Carriage Conversions thread for details), this project would be easier, especially as there were far fewer door handles to insert and the old roof would be retained. 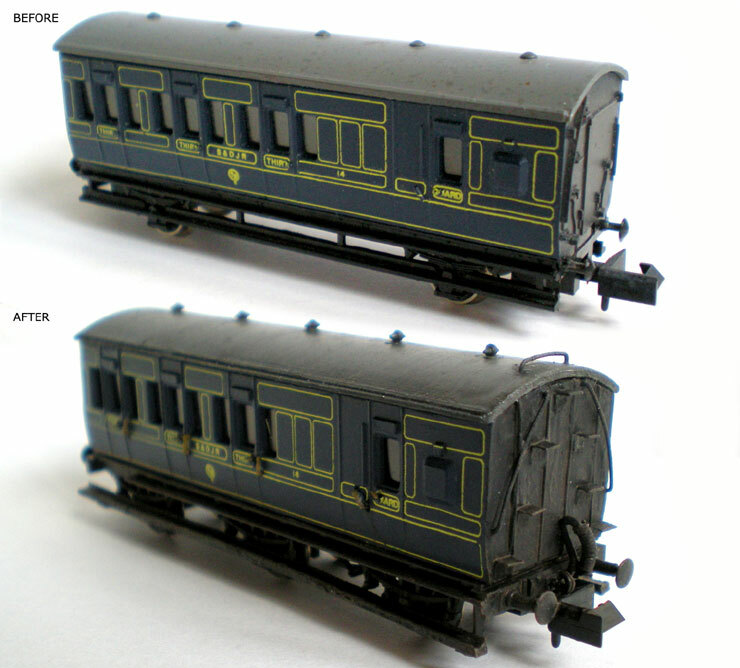 I had one carriage to upgrade and no more because S&D 4-wheelers tend to be rather expensive on the second-hand market. 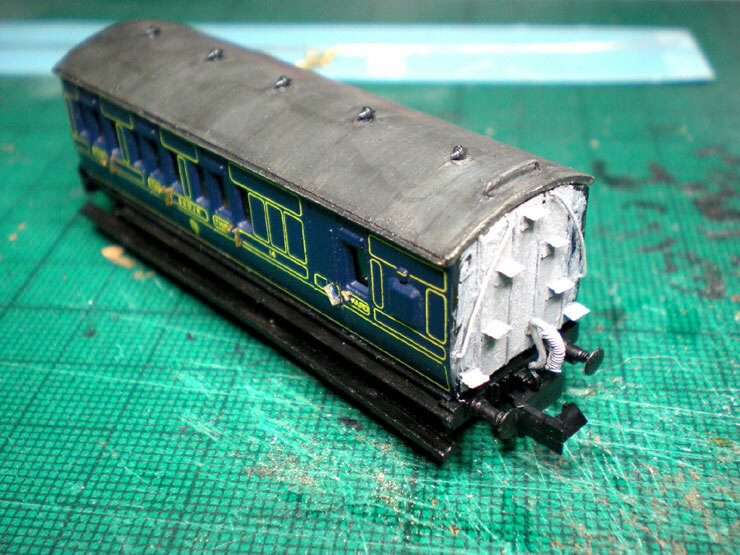 The plus side is that, apart from its unique bodywork, there wasn't much to risk in this project. 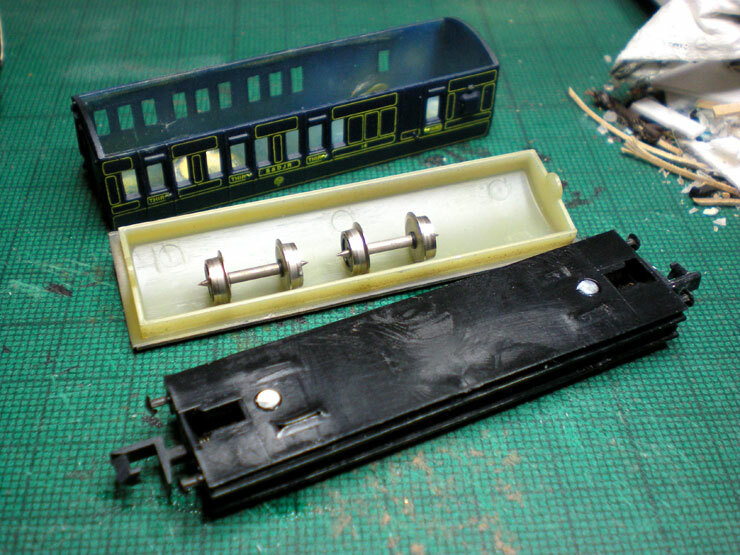 So the first step was to pull the coach apart, this one being an S&DJR 4-wheel brake third that would be converted into a 6-wheel brake third. 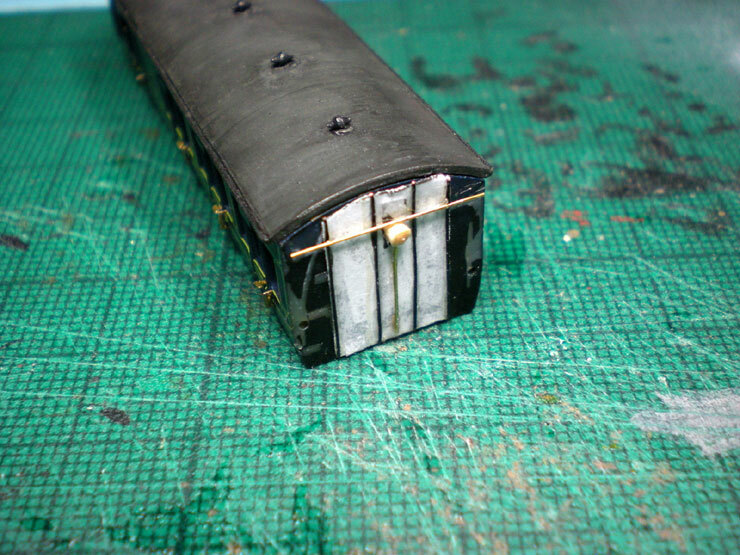 A craft knife had to be slid between chassis and body to cut through the securing pins, visible here just behind the couplers. 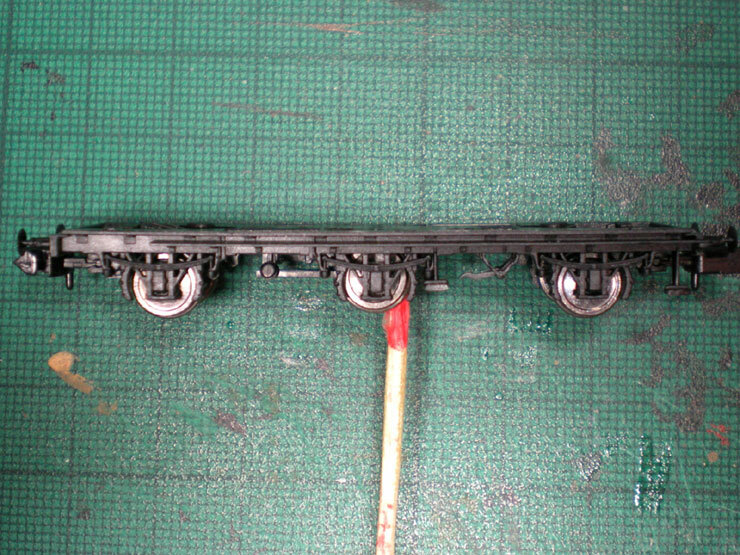 Despite being tempted to retain the 4-wheel chassis and somehow add a middle axle and wheels, instead the NGS 6-wheel Stove R chassis was selected for the task. 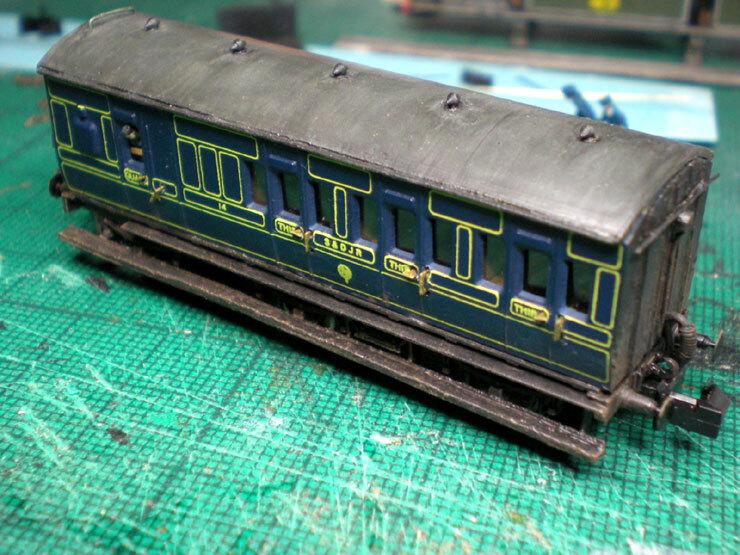 This S&D carriage would have been a good 40-50 years old by 1930, so it can look a little rough and ready in places. 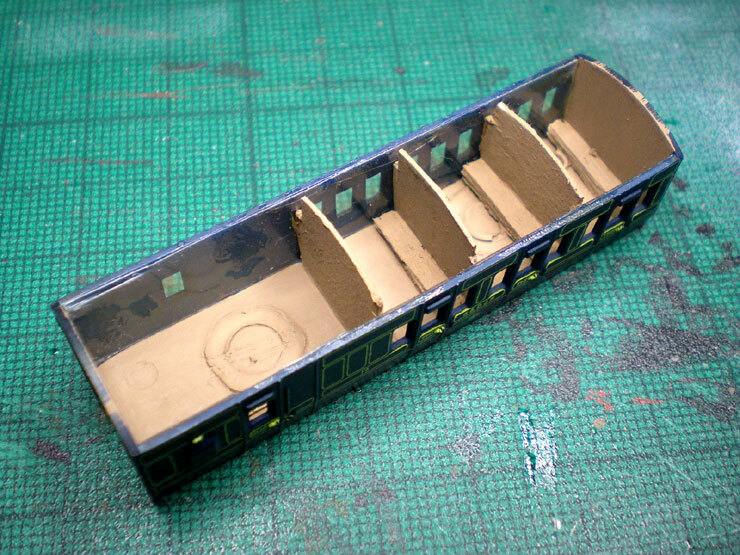 It needed benches (wooden) and partitions, so a quick bit of cutting of card and matchsticks was done. 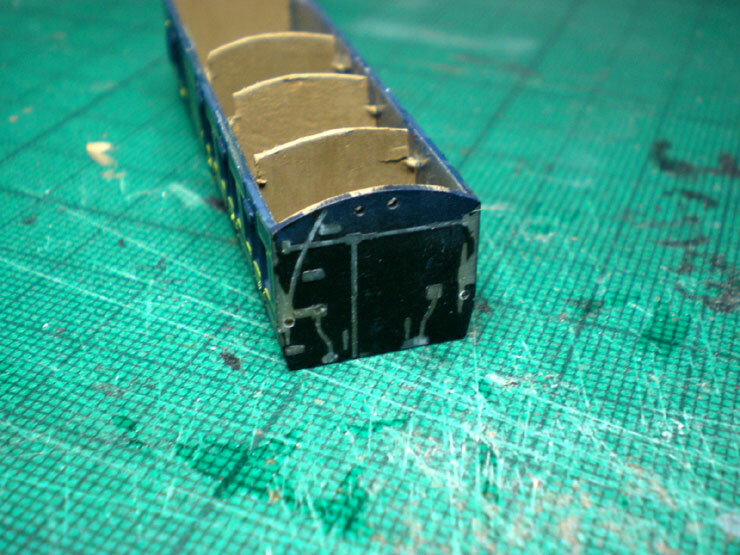 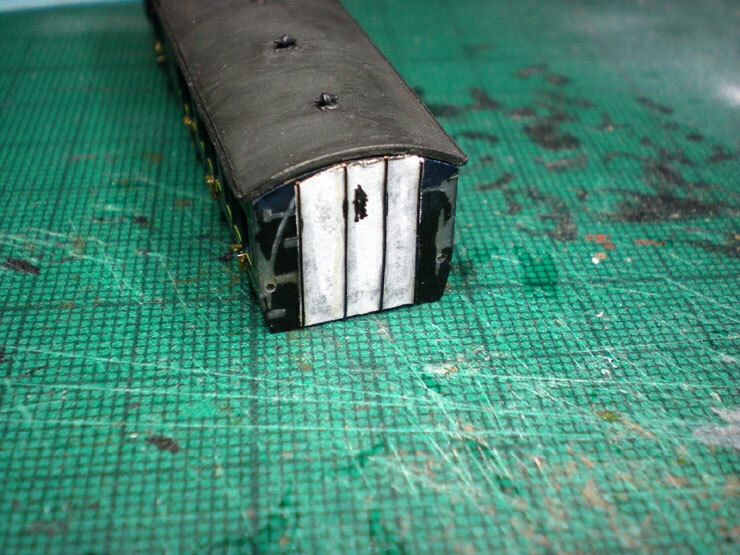 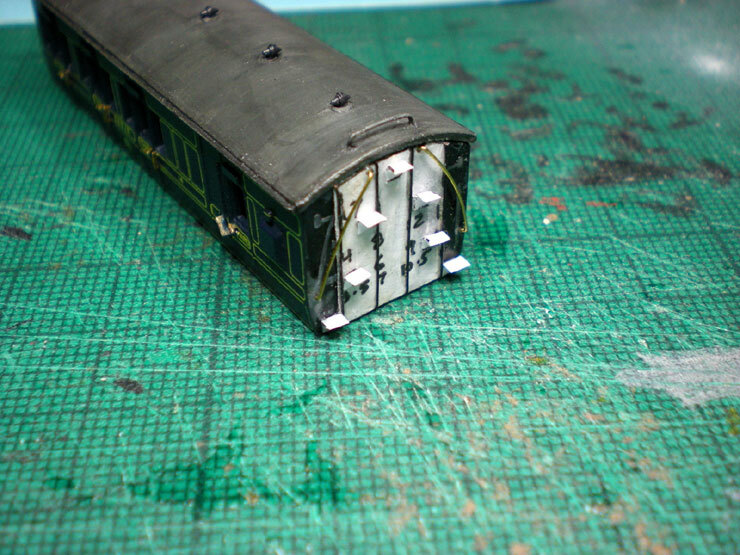 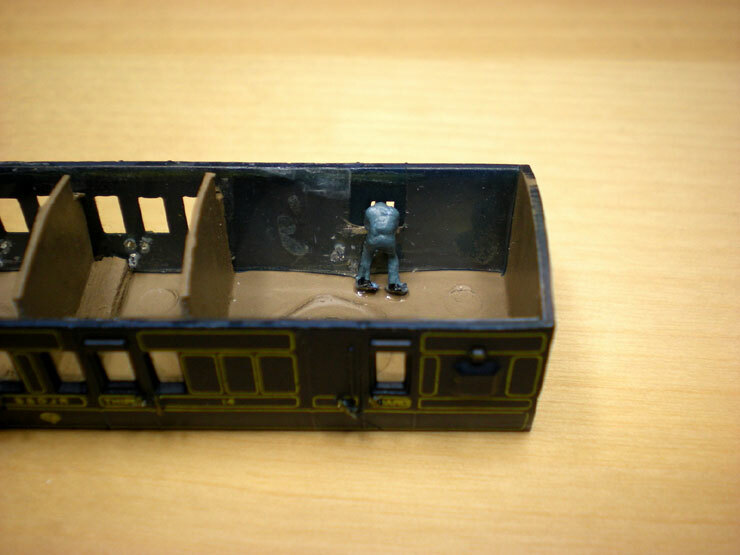 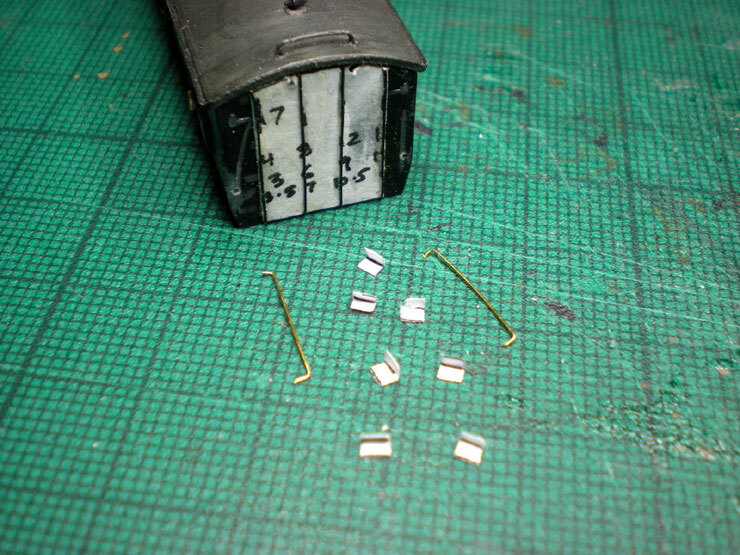 Then a small gap was cut into the glazing for the windows and a bit of brown card glued in place to mimic a mostly-open drop window in the guard's compartment. 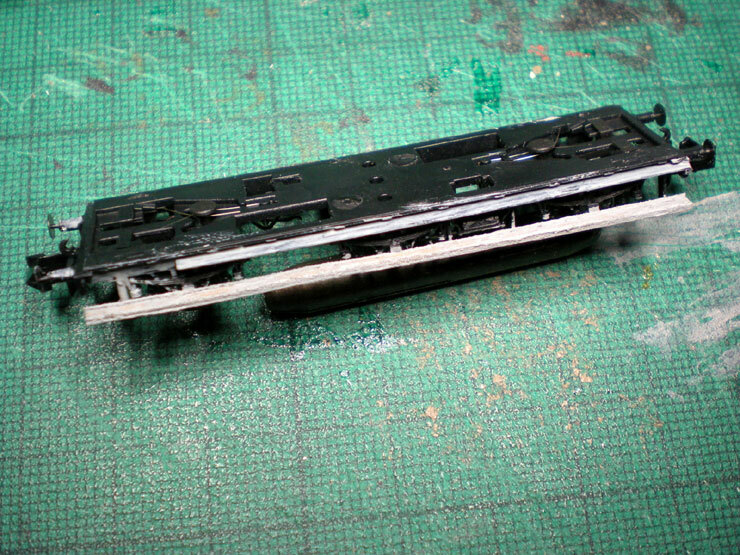 Paint it all a mid-brown, which also helps to mask the stubs of the chassis connectors. 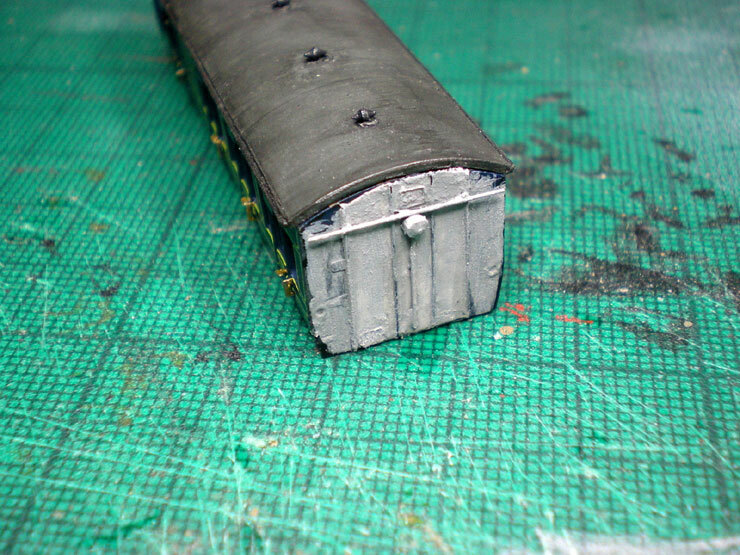 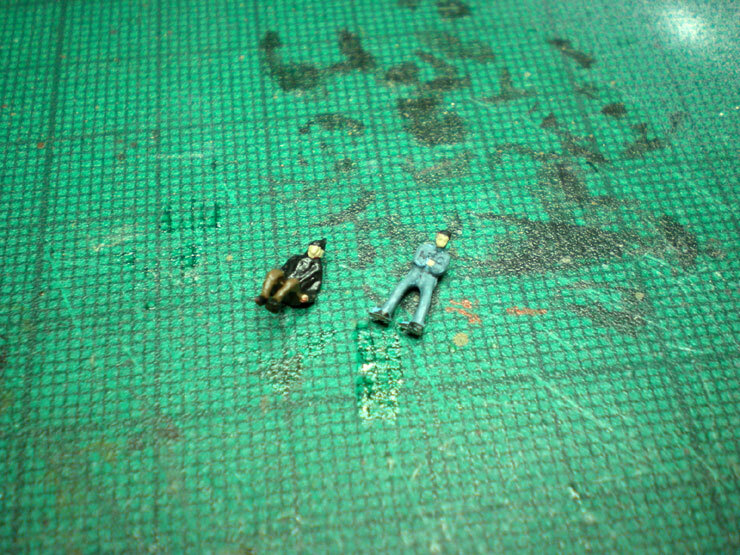 One passenger needed (the branch line services were never very busy after the Great War) and one guard. 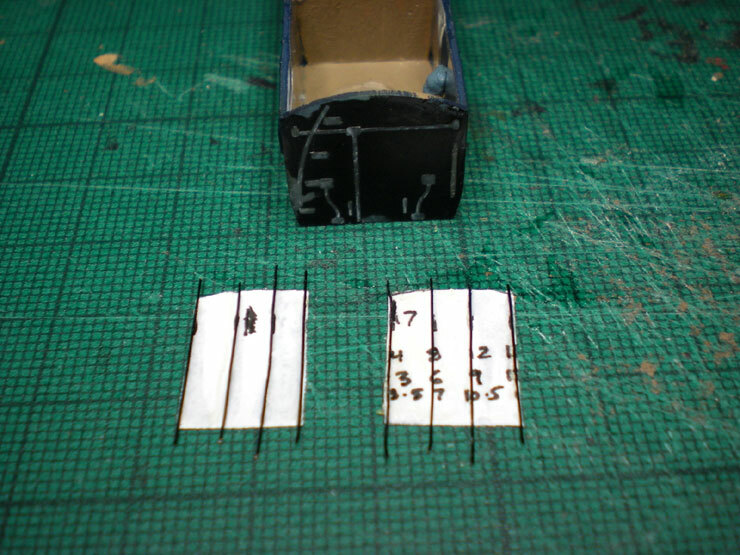 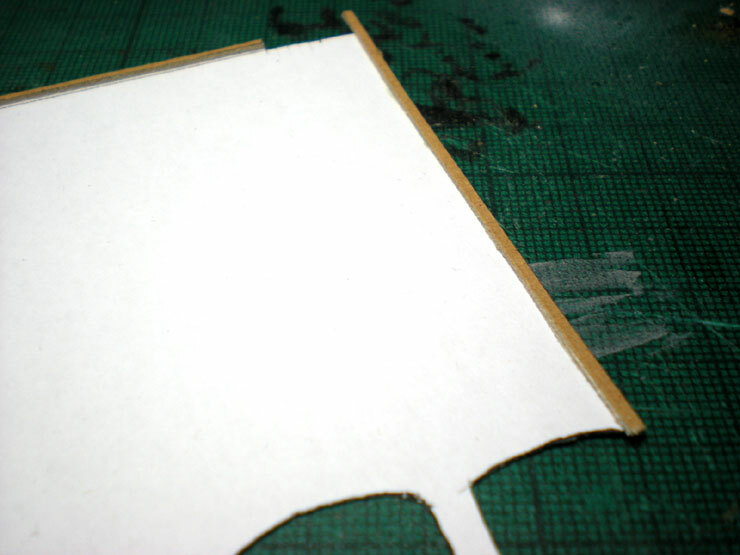 Running boards also needed, using card for the boards and paper wrapped around them to serve as the inner lip. 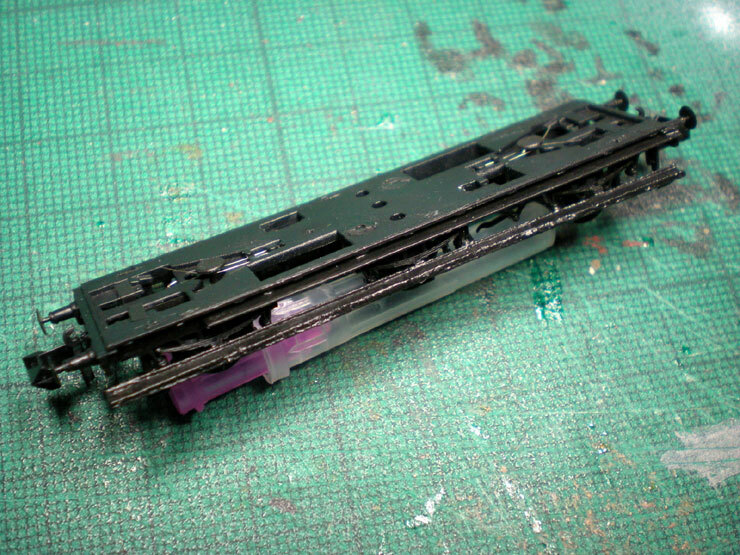 The Stove R chassis isn't entirely suitable as it's a little industrial. 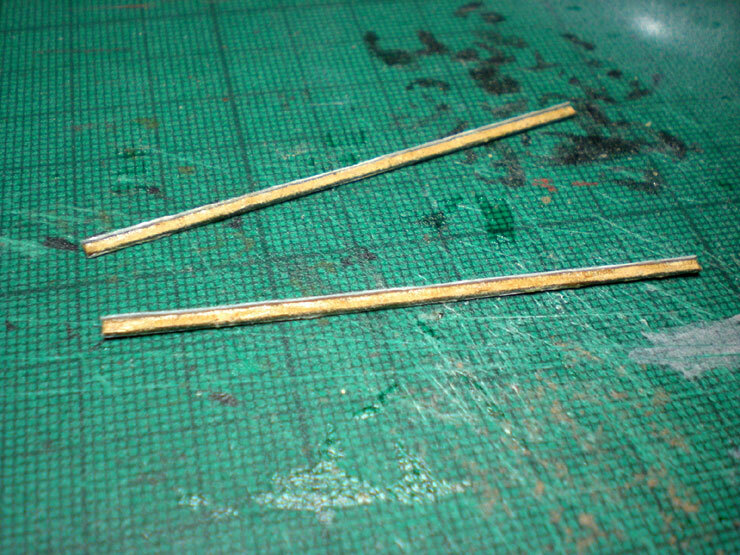 I might choose differently next time. 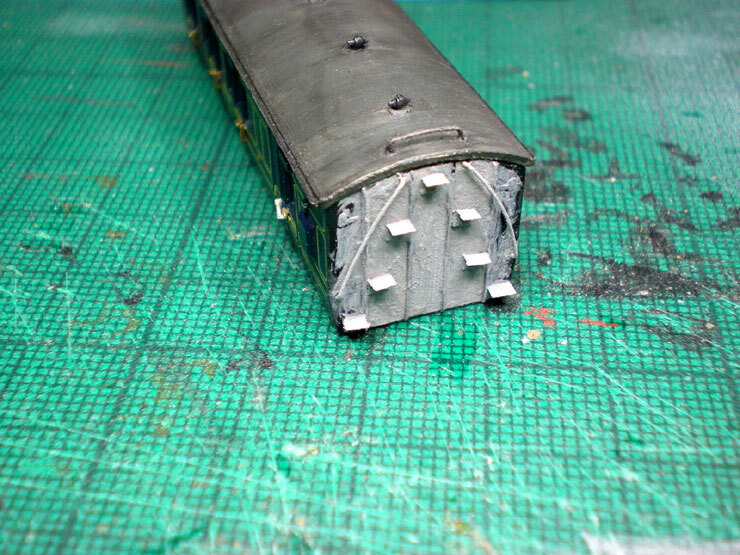 The Stove R chassis, without a couple of extra vertical support posts added for the running boards. 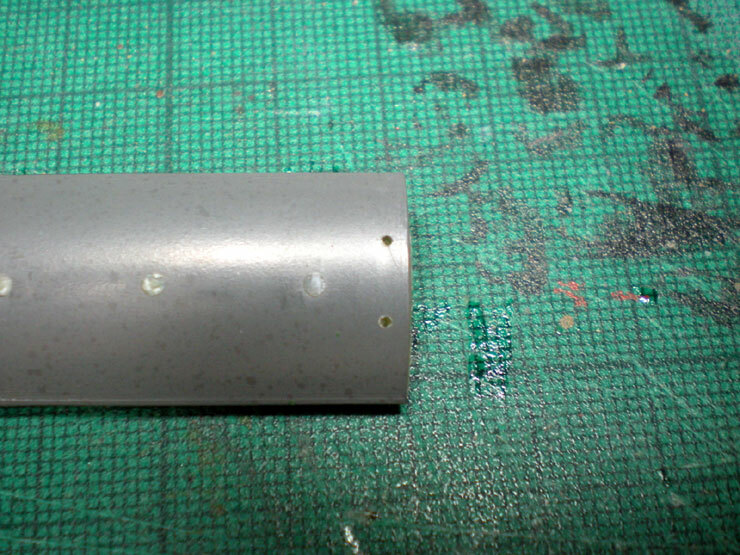 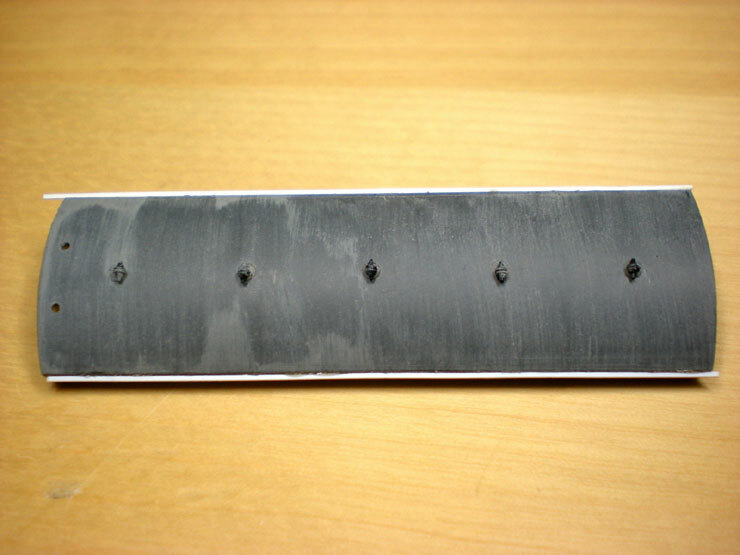 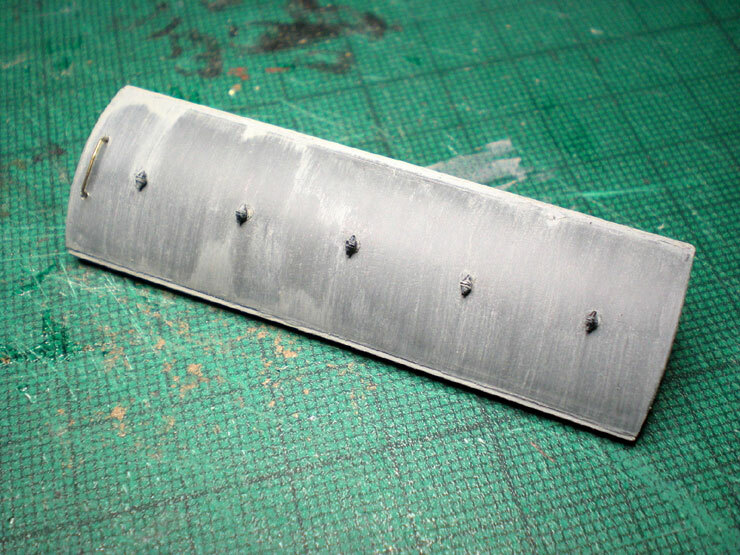 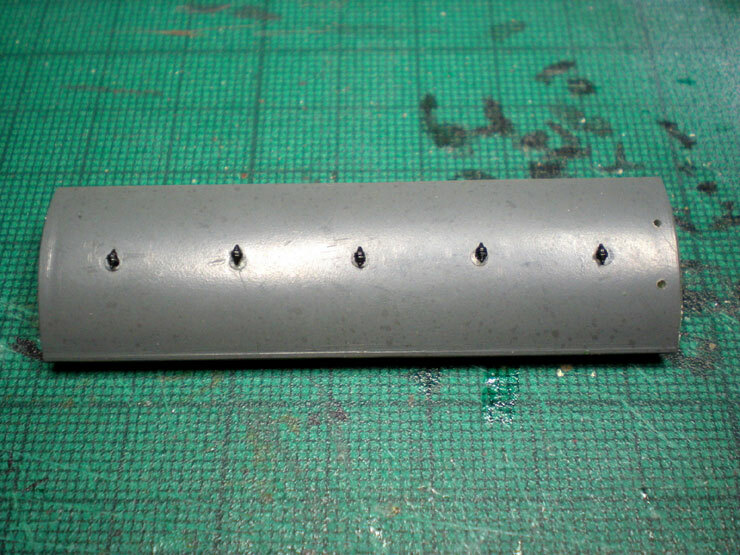 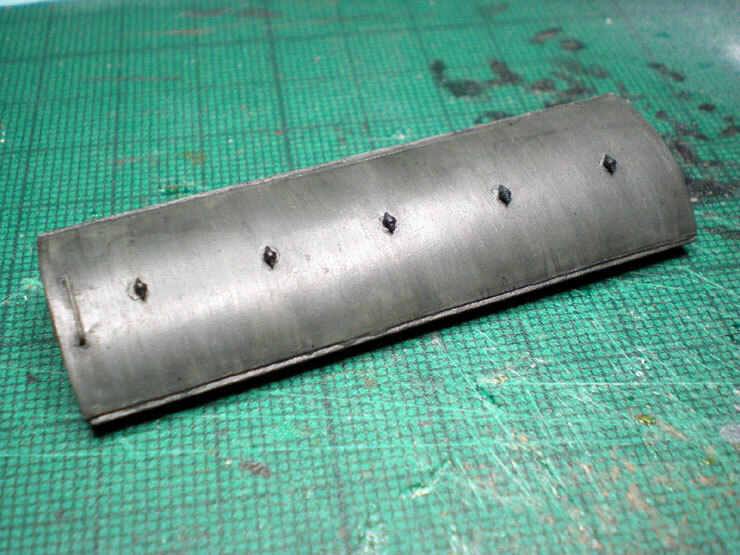 Holes drilled for torpedo vents from Etched Pixels and running boards given a bit of extra securing, and then soaked in superglue. 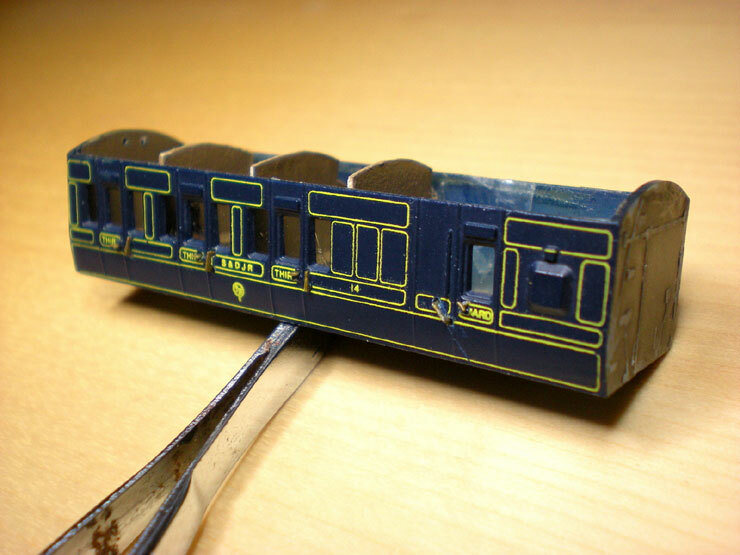 The finishing touches include painting the ends black, touching up scratches and nicks on the blue bodywork (Railmatch paints), and adding a wash of dirt around the base. 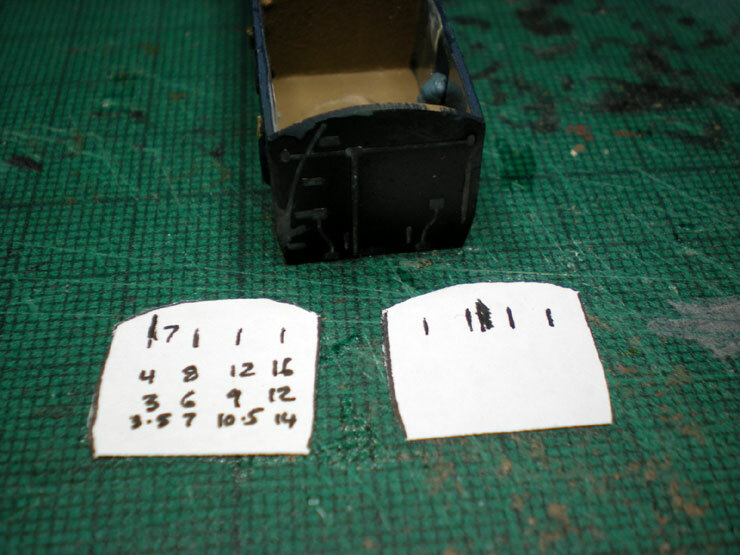 Here's the comparison shot. 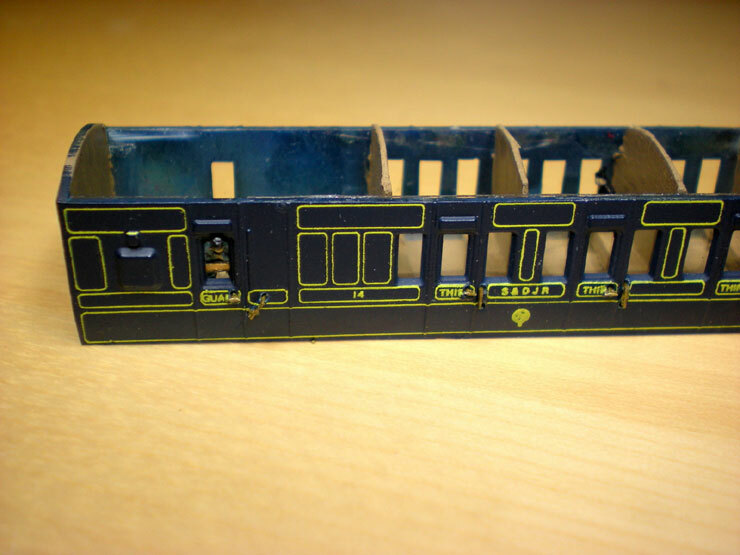 The six wheel chassis really makes a difference, as does the end detailing, roof vents, handrail, and even the sometimes barely-visible door handles.